Our family hadn't traveled to the neighbor to the west for about 10 years! Our oldest was a baby...and she spent her entire car trip riding backward. This time, all the kids should remember the trip, which is fun, I think. Perhaps this is why I am a hotel snob. Perhaps this is also why I was skittish with hotels in Colorado Springs. All we could find in a comfortable price range looked run-down. No way. So, if we were going to vacation in the mountains, we had to find another accommodation option. This is how we ended up to the west of Colorado Springs, up the mountain in Woodland Park, living in a tiny house. 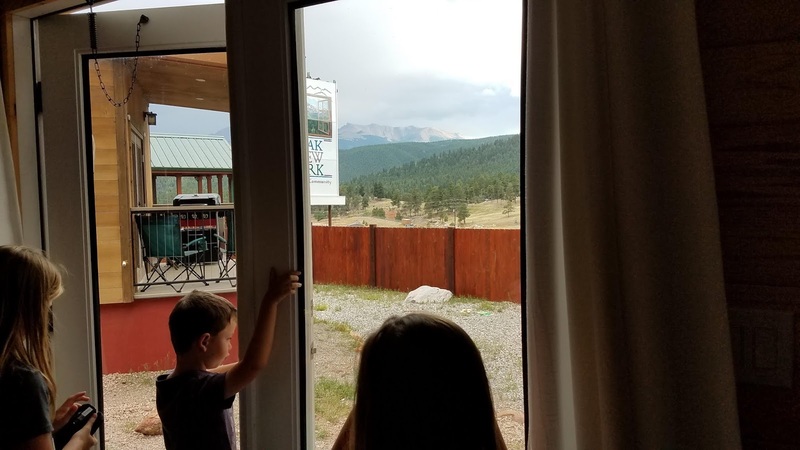 We totally avoided sketchy hotels and managed to score a clean, welcoming stay in a quaint, storybook town, with a direct view of Pike's Peak from the door. Before vacationing, we were familiar with tiny house living for two reasons. 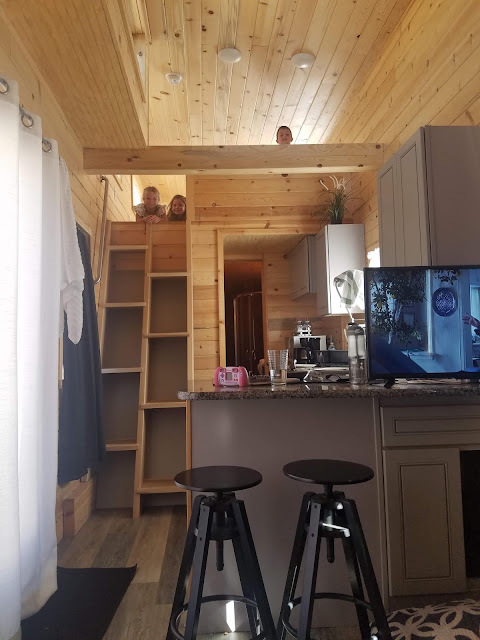 First, friends of ours built their own tiny house over the course of the last couple years. They were the first to introduce the concept to us. Then, of course, we started watching shows about tiny houses on HGTV. One of our kiddos is especially intrigued by tiny houses, so when we found the HGTV-featured house on Airbnb? Well, adventure accepted! 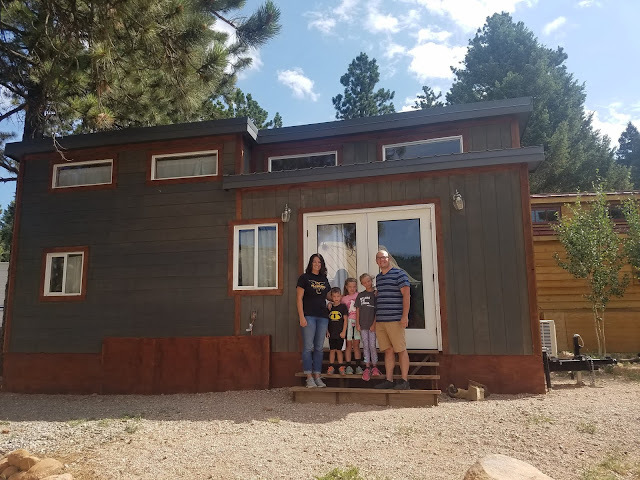 I can't say that we'd choose to live in a tiny house full-time...though with home prices in the $350K+ range in Woodland Park (yes, we checked), I can see why tiny house living is a viable option! But even if we wouldn't do it long-term, it was perfectly fine for a few days. And, we are used to living in a relatively small house with five people (Thanks sweet bungalow we used to live in! P.S. I miss you! ), so it really didn't feel like that big of a stretch. A hotel room isn't much bigger anyway! We ate all our breakfasts, plus cooked one meal, in the tiny house kitchen. Our family could never survive with the dorm-sized fridge that was available. If we lived in the house full-time, some cabinets would need to be removed to make way for a regular fridge...mama does not want to head to the grocery store every day! No way! Because we were out doing touristy things each day, I know our experience was different than real-life...but for the time we were there, it seemed to have plenty of space to play, and even to spread out a bit. The kids spent time playing together in the loft. 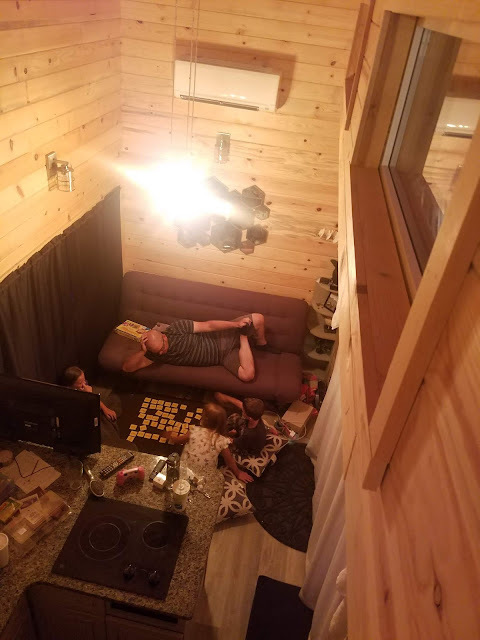 There was enough space to play family games in the living room. And if you were exhausted after showering, you could just fall out onto the twin bed that shared the bathroom space. Ha! Second, again with the fridge. Third, lower the twin bed's platform and add another bunk to the bathroom sleeping space (this wasn't as weird as it sounds, and it was the only bedroom space with an actual door.) 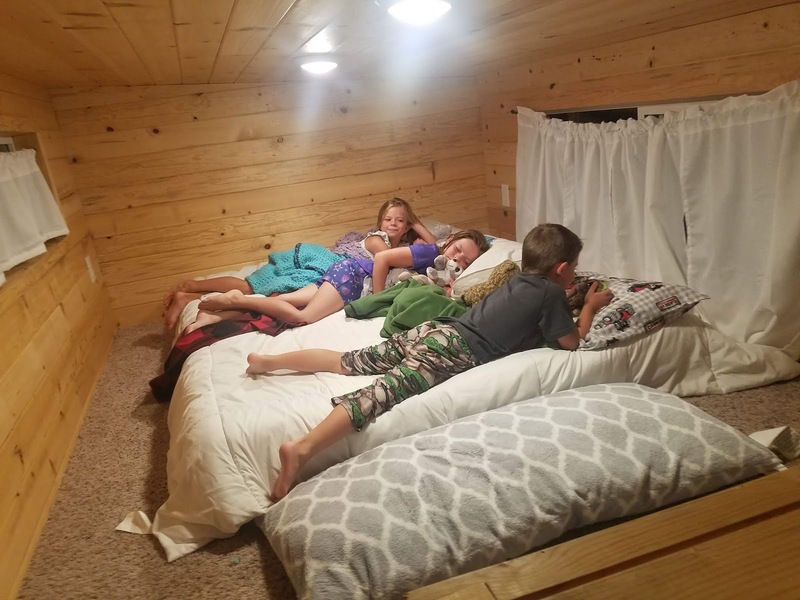 The sleeping nook was big enough, and it would give families more options for sleeping arrangements. Fourth, add some hooks. Seriously, the lack of hooks baffled me! With only one towel bar, hanging like a grab bar, there wasn't any place to dry towels. I ended up using the curtain rod hanging above the entry door to hang wet towels. And, the biggest conundrum? WHERE DO YOU HANG COATS IN THE WINTER? It was Colorado. It snows. It gets cold. And there was absolutely no place to hang coats or store snow boots. A pickle, to be sure! I suppose you could make a little mudroom under the stairs, but then you lose that storage. Hmmm. Overall though, it was a cozy stay, a fabulous view, and it added to our adventure in a positive way. 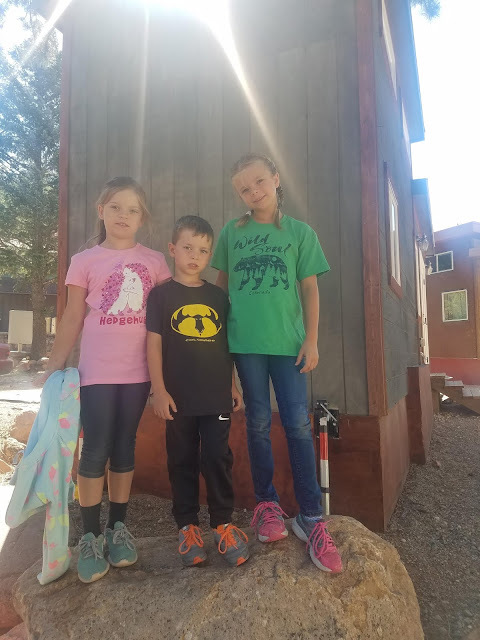 If you're going to be traveling to the Colorado mountains, I highly recommend the tiny house in Woodland Park (rental link)...and we found out there are more tiny house rentals in the area, so check them out! 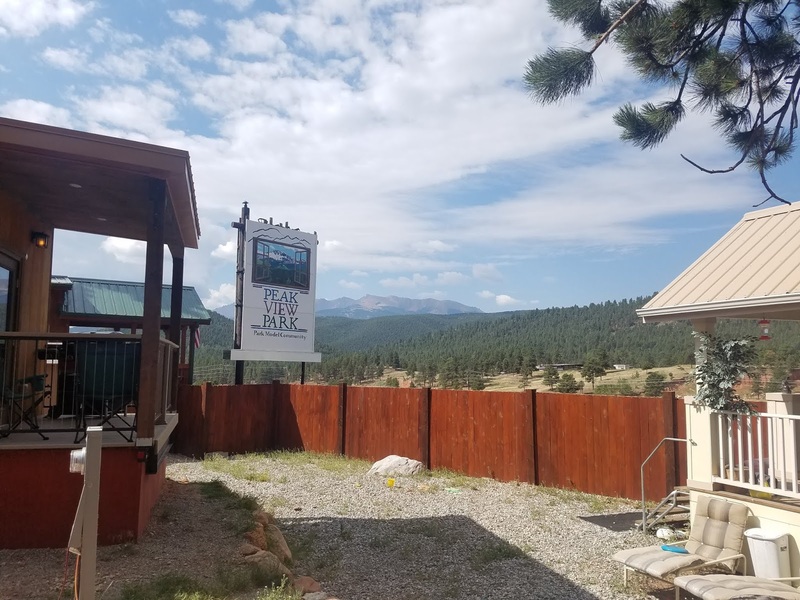 The city of Woodland Park is fantastic! You Say: Anyone else lived/stayed in a tiny house? What was your experience? Have you visited Woodland Park? What did you think? Anyone else used Airbnb? Thumbs up or down? 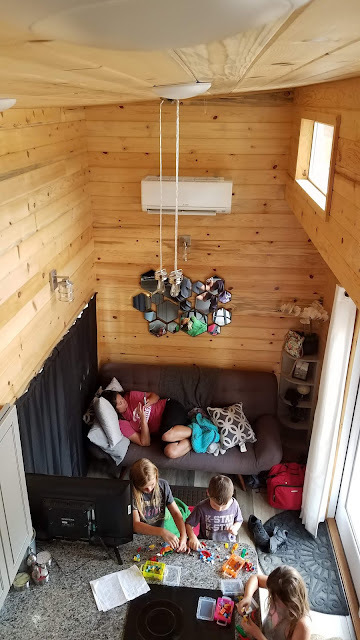 We just got back today from staying in Woodland Park in a different tiNY house! We are also not fans of the hotels in the springs area and WP is the home of some friends. It's a great town! How fun! Was it in that same tiny house park??? I thought that was a pretty neat set-up!